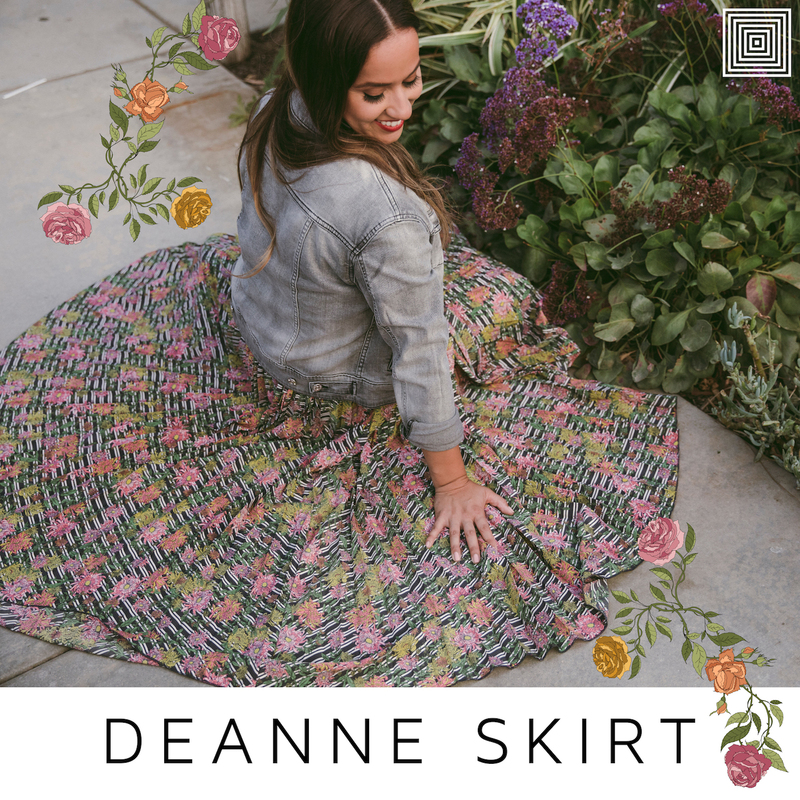 The DeAnne Skirt is a maxi length, accordion pleated, wrap skirt with a button hole and tie closure; and the smallest bit of elastic at the small of your back to hug an accentuate a feminine silhouette. So don’t be surprised if you are sashaying everywhere you go! Like the DeAnne dress, the DeAnne skirt is almost a full wrap; keeping you comfortably covered and effortlessly beautiful. If you would like to purchase this amazing skirt, please click here.